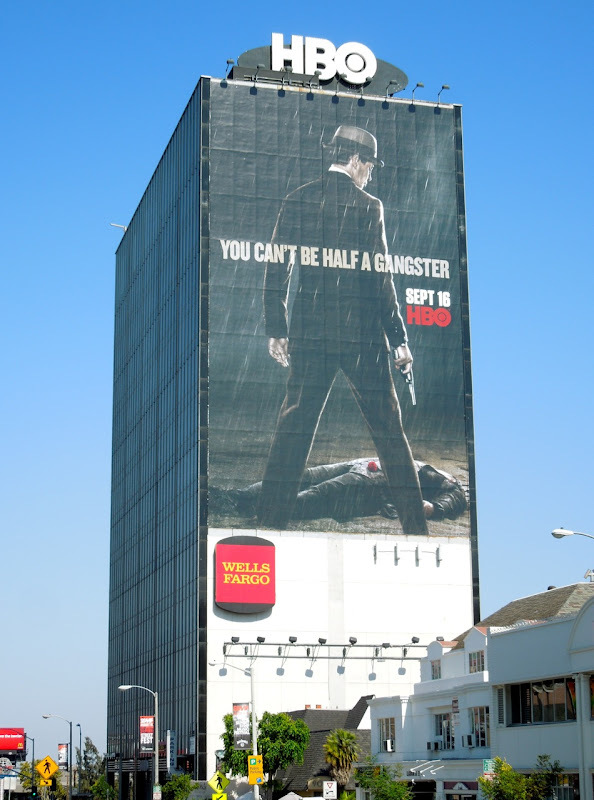 Poor Jimmy. 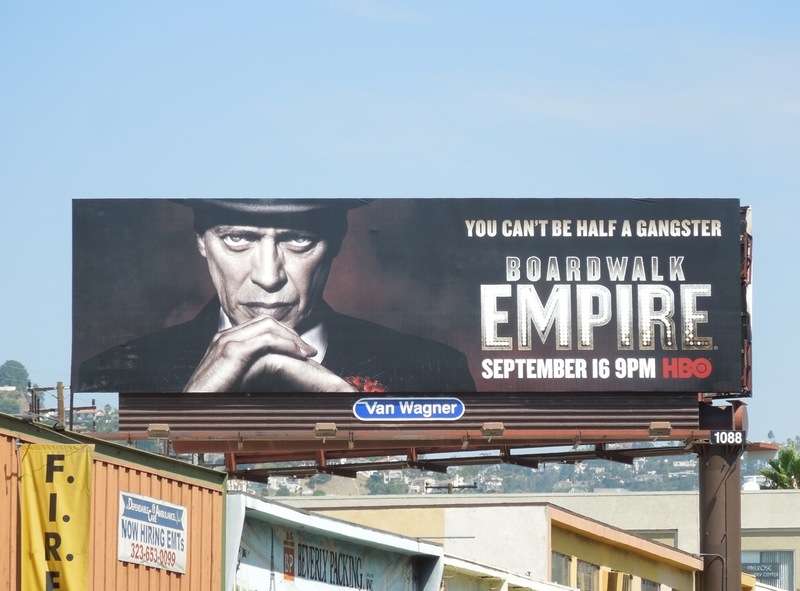 His shock death in season two proved that you really can't be half a gangster in the world of Boardwalk Empire. 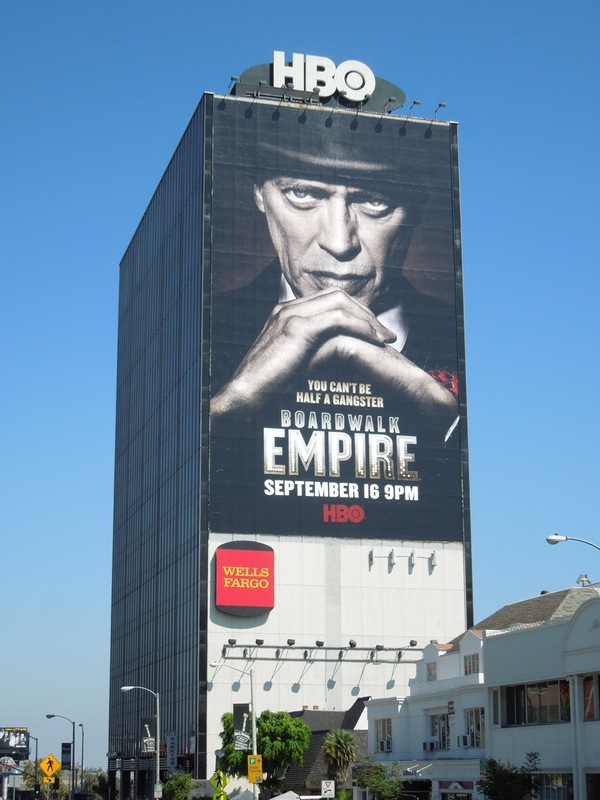 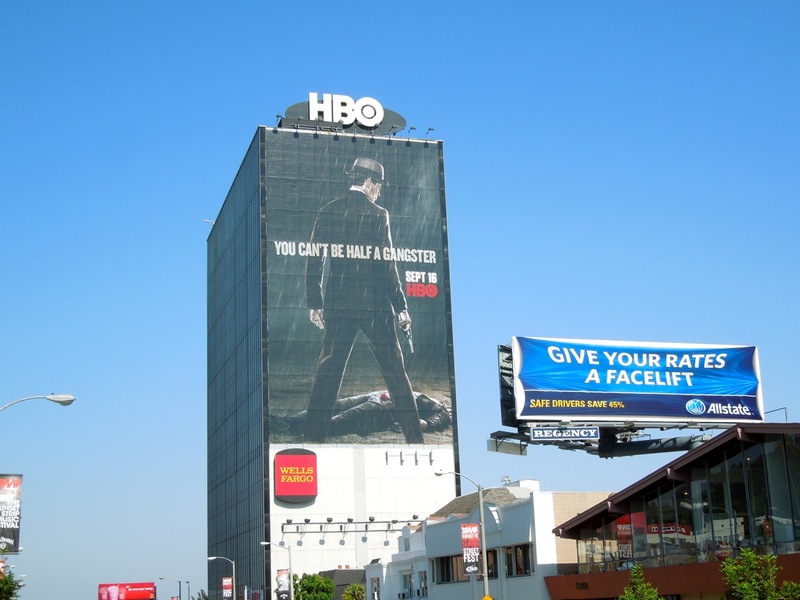 This super-sized ominous-looking season three teaser for the Prohibition era crime drama, starring the Golden Globe-winning Steve Buscemi, makes for a pretty compelling visual towering over L.A.'s Sunset Strip on August 2, 2012. 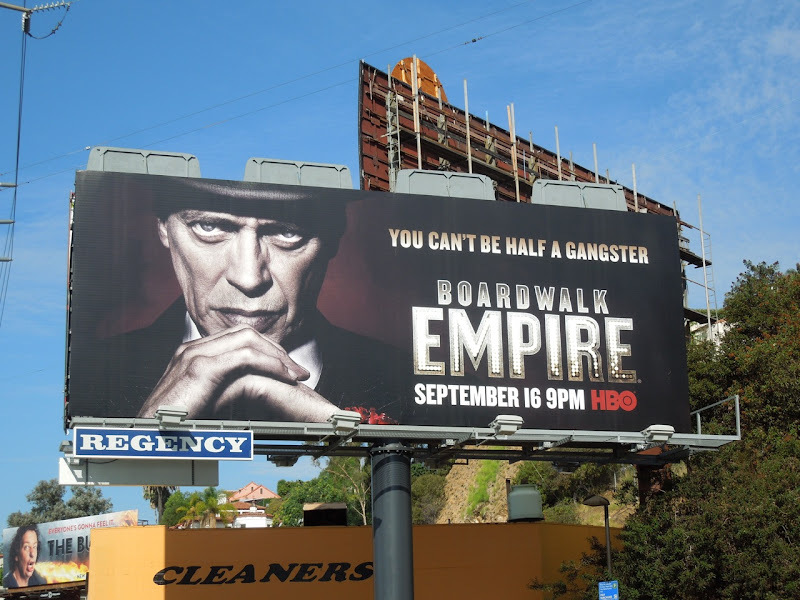 If you're a fan of the gritty HBO series, be sure to check out Boardwalk Empire's first season billboards and the show's sophomore season billboards. 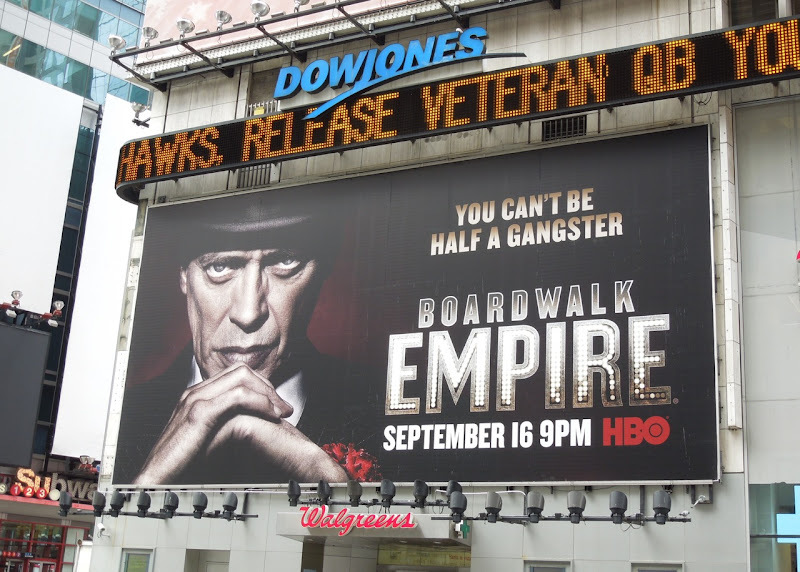 UPDATED: After this dramatic giant tease you knew that the official season three billboards were on their way for Boardwalk Empire and here they are. 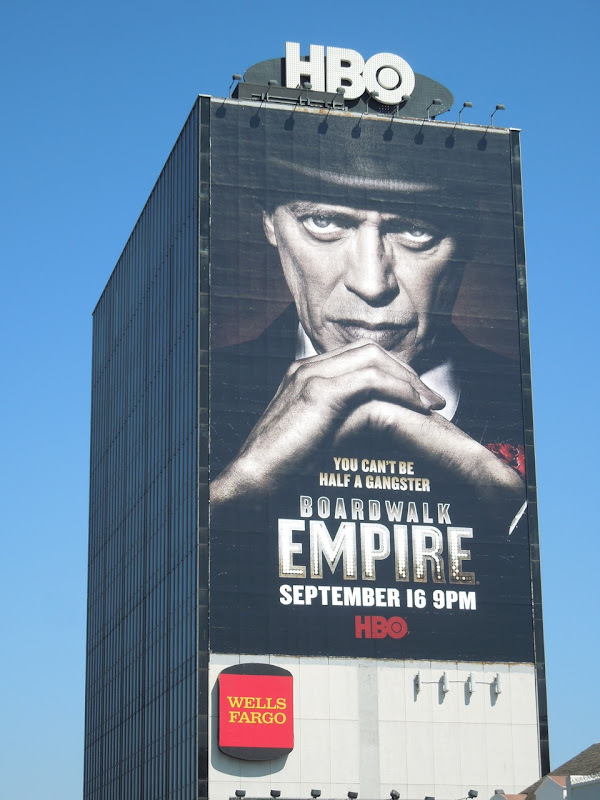 A wonderful supporting character for the majority of his career, Daily Billboard wonders if Steve Buscemi ever thought he'd see himself up large like this on a promotional billboard as the star of his own highly-acclaimed TV series. 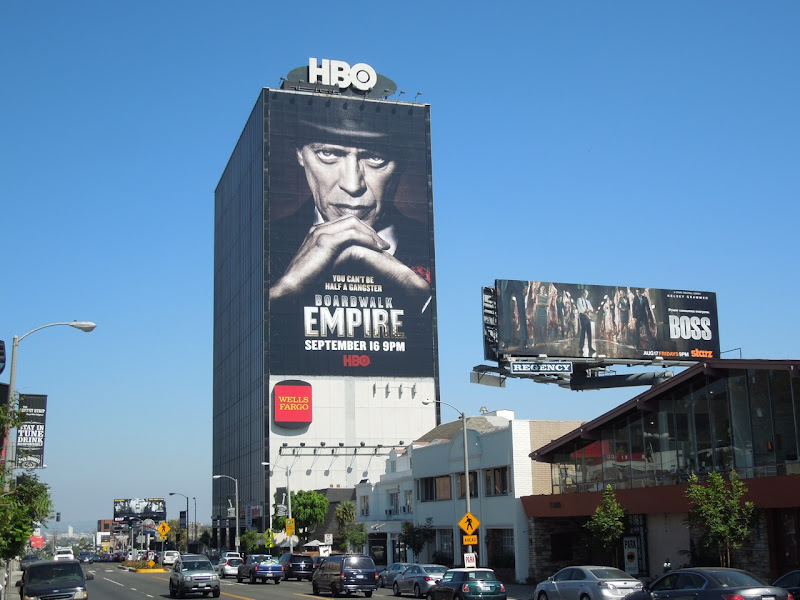 The standard landscape billboards were spied along Sunset Boulevard and Fairfax Avenue on August 21, with the enigmatic super-sized version snapped on August 23, 2012. 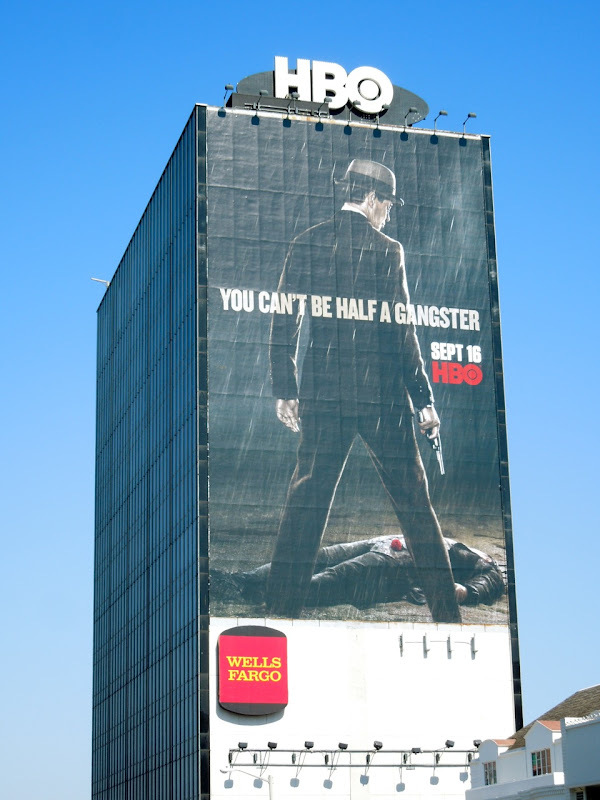 And although 'You can't be half a gangster' makes for a great season tagline, Daily Billboard is sure that by sawing some mobster in half to send a message you could technically be 'half a gangster'. UPDATED: Here's more billboard support for the show's third season from Times Square in New York City on August 28, 2012. 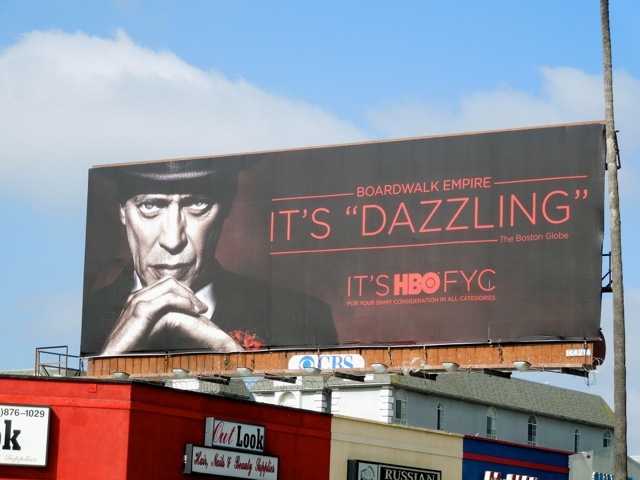 UPDATED: Award season is almost upon us and here's an amended season three billboard for Boardwalk Empire to support HBO's Emmy Consideration campaign for the acclaimed period gangster show. 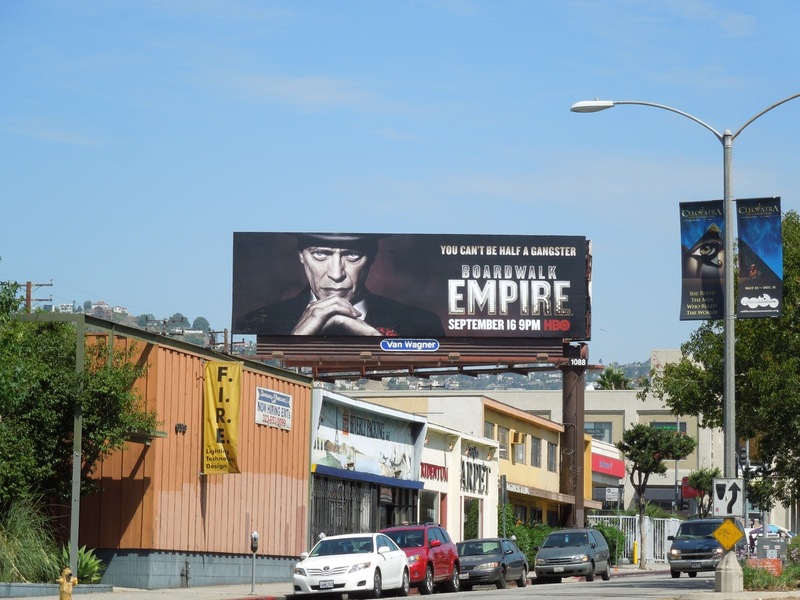 This dazzling billboard was spotted along Sunset Boulevard on May 30, 2013.